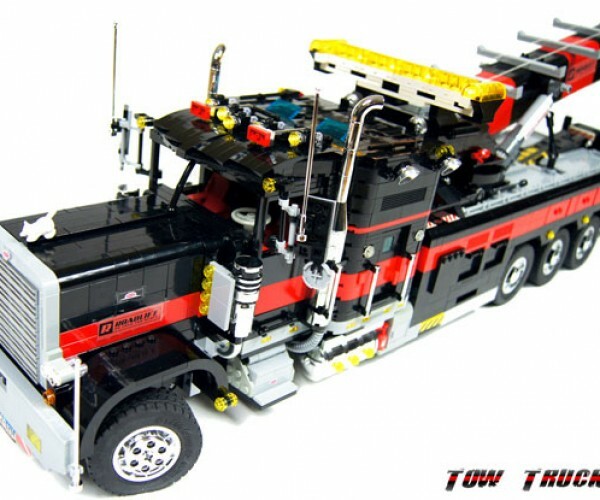 This amazingly detailed tow truck was built by LEGO enthusiast Paul aka Sariel. 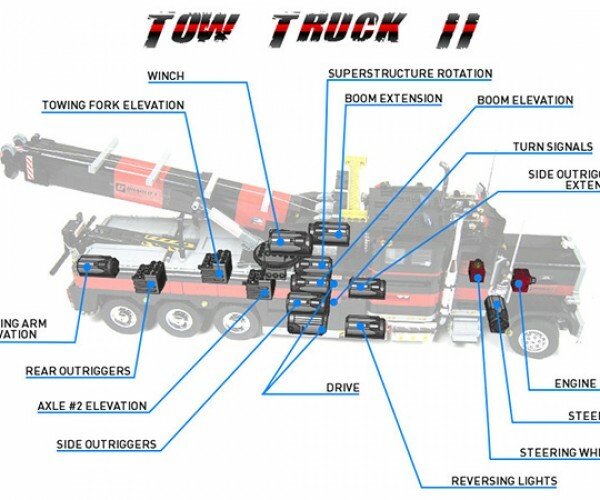 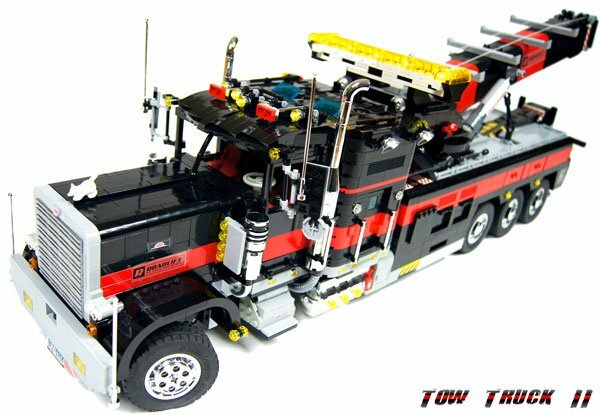 Thanks to a whopping 17 electric motors, the truck has a lot of moving parts and lights and is therefore very functional – of course I’m using the term relatively here, but if you happen to know a minifig who needs some towing done then this should do the trick. 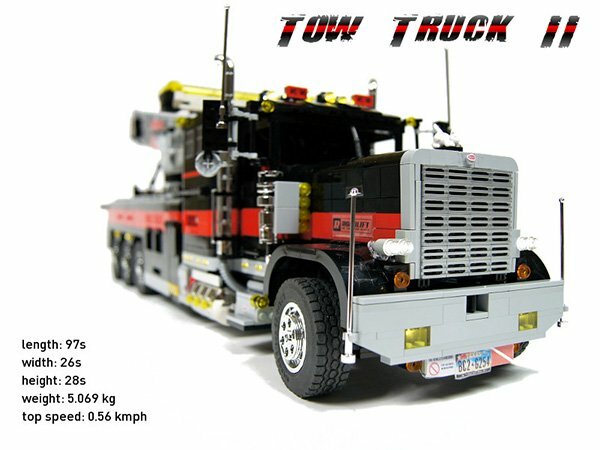 The truck weighs more than 11 lbs, has more than 60 ft of wires, 44 LEGO LEDs and has a top speed of about 0.35 mph. 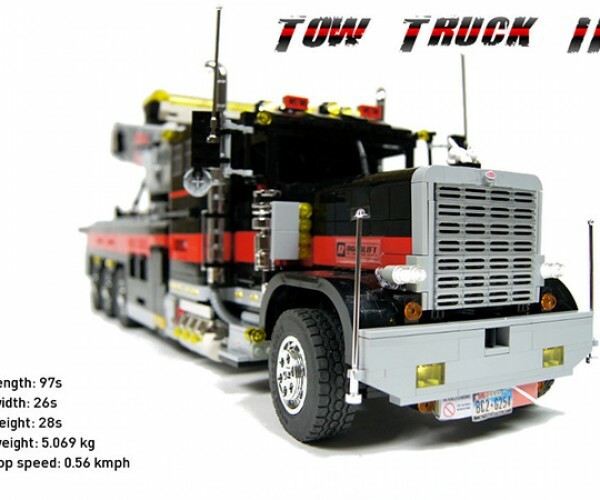 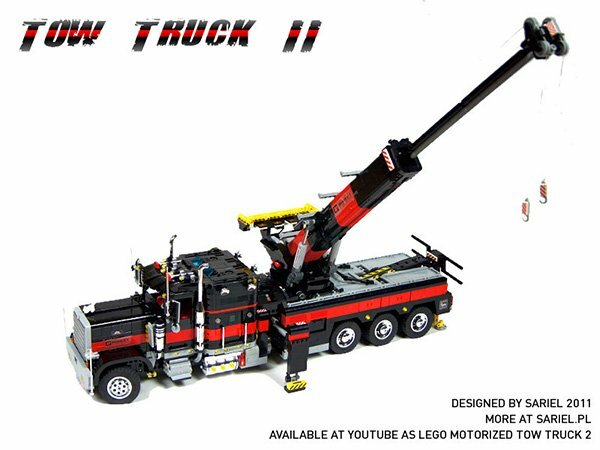 Sariel was inspired by two other toys when he thought of building the tow truck – the LEGO Black Cat and the Revell Peterbilt 379 wrecker. 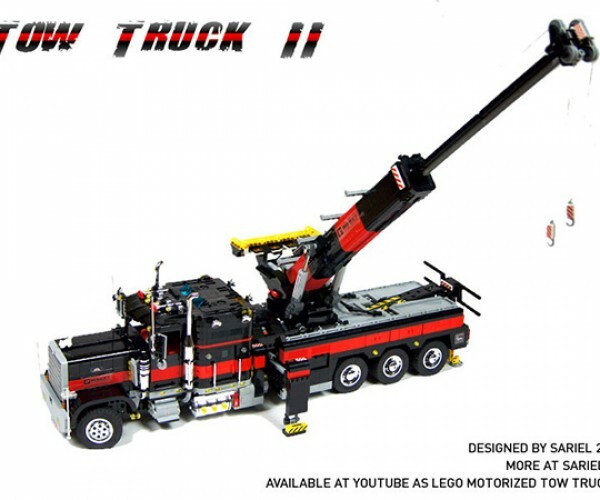 Here’s a video of the truck. 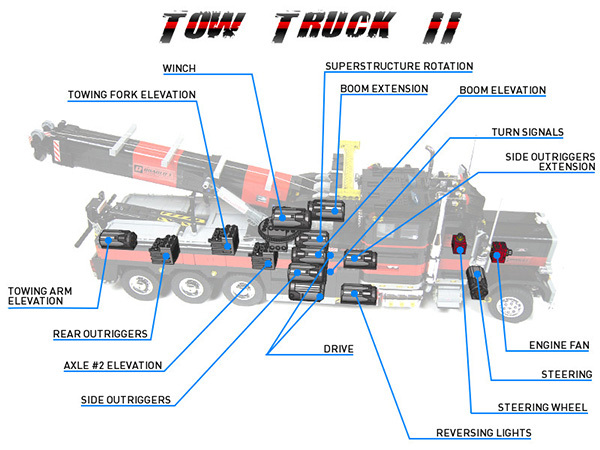 It’s quite long, but that’s all right because there’s really a lot to take in and love about the truck. 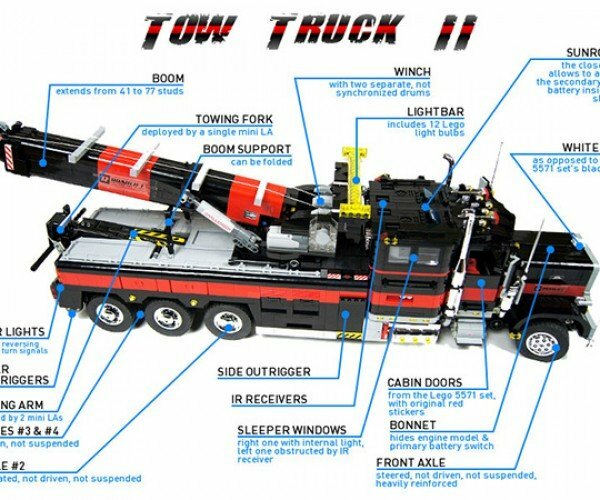 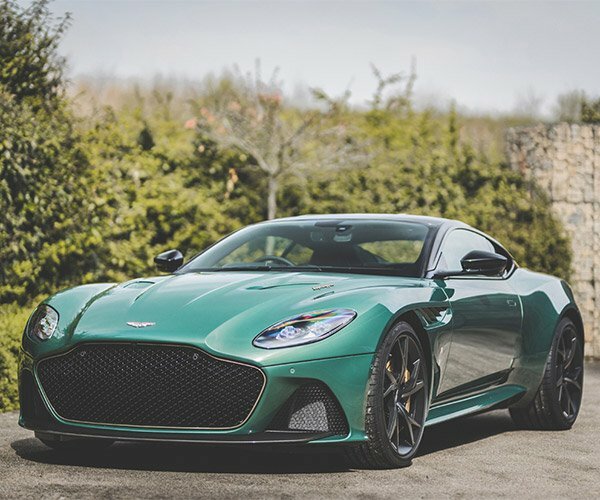 I love the little touches like the working steering wheel, the license plate and the stickers. 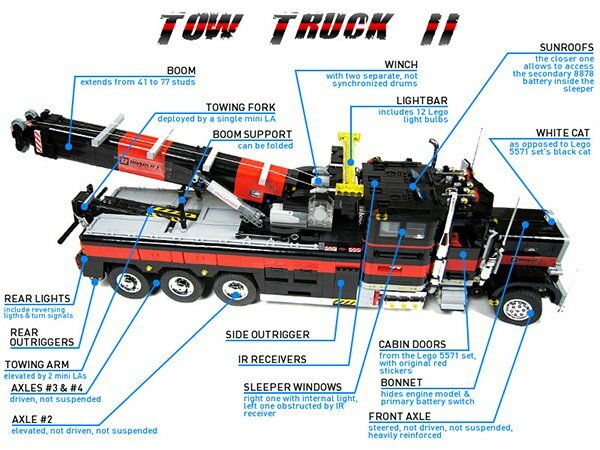 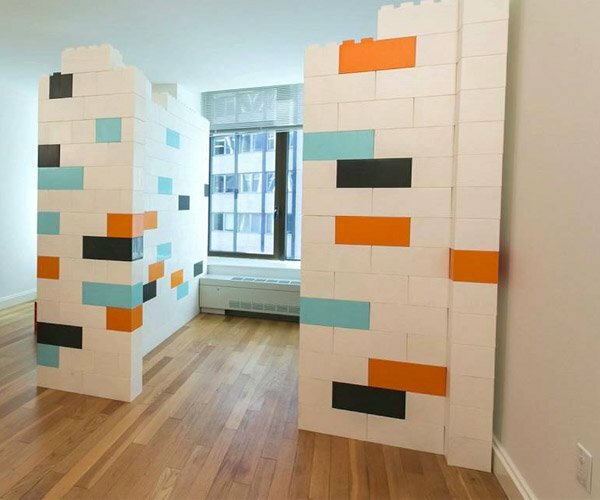 I wish I knew more about LEGO so I could do the truck justice and give it the coverage it deserves, but I guess you’ll have to check out Sariel’s website for the nitty gritty.